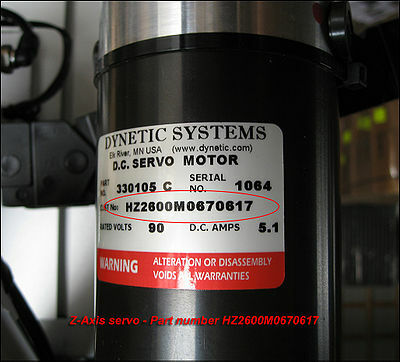 A servo motor is usually comprised of the drive section and the encoder. 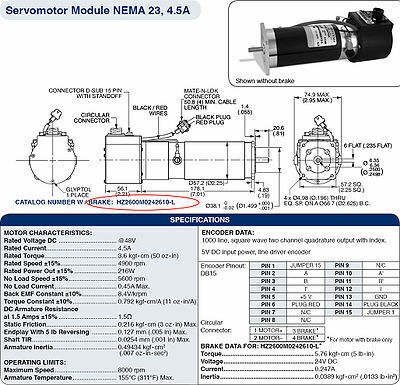 A servo motor is much smoother in motion than a comparable stepper motor, and will have a much higher resolution for position control. 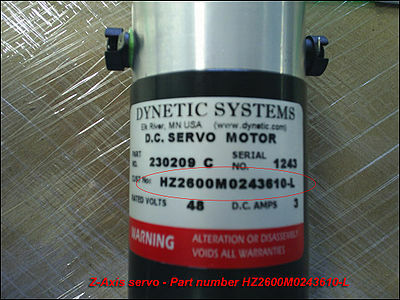 While the servo family is further divided into AC and DC types, most all the servos we use are brushed DC. 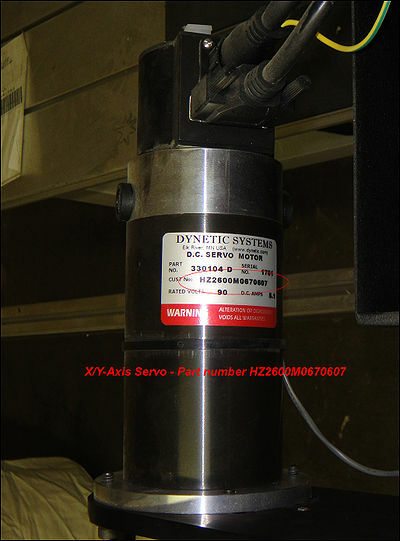 On the servo's shaft are magnets, attached at specific locations. Sequences and combinations of magnetic fields generated within the motor drive the magnets and give precise control over the shaft's rotation. Also on the servo’s shaft is a glass disc with very fine lines on it. The optical encoder counts those lines as it rotates with the motor, the information is fed back to the controller, and through a host of feedback loops and logic circuits, produces the desired motion. 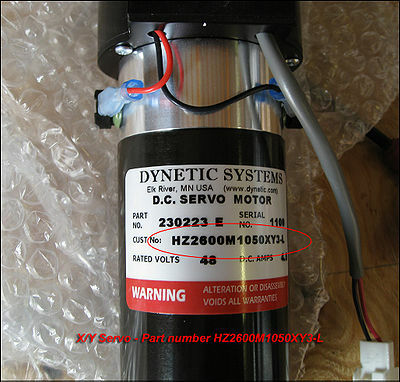 X/Y Motor Assembly - ????????????? Note that an RG Series machine requires special cables for the controller mainboard.